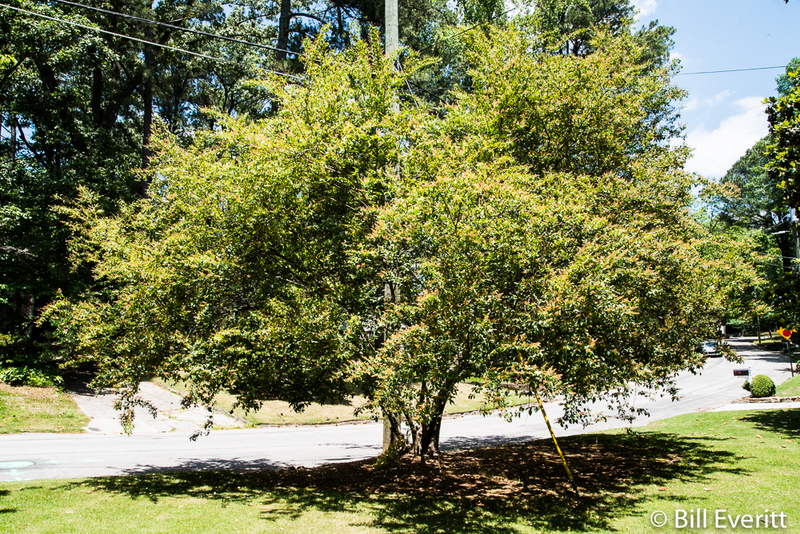 Chinese Privet was introduced into the United States from China for ornamental planting. This stuff is really bad news. It may come as a surprise, but privet is far more than Kudzu and more than half a million acres in Georgia are infested (compared to 33,000 acres of Kudzu). In other words, Kudzu infestation is only 6% as much as privet. One reason why privet is so invasive in the United States is its adaptability to a variety of environments, ability to withstand ecosystem checks-and-balances such as fire and flooding, as well as its lack of predators. Its pervasive use in landscaping is also a significant factor. Privet’s competitive superiority to native vegetation is in part due to the plant’s ability to adapt to different light conditions. For example, in low light environments, privet is able to produce fewer and larger ramets (plant colonies) than its competitors. These larger ramets make privet more tree-like, making it better able to compete for light than its more shrub-like native counterparts. Through sexual reproduction, privet produces seeds that are easily dispersed by wind and animals. These seeds can rapidly colonize disturbed soil such as that perturbed by fires, forest clearings, erosion, or abandoned agricultural land. Privet matures quickly, which allows for a short generation cycle and even greater dispersal. The roots of privet can reproduce asexually through root suckers. This vegetative reproduction makes privet difficult and costly to control because root fragments left in the soil can sprout and grow new plants. Prior to privet invasion much of the native land was clear and open; currently, privet forms a dense thicket which chokes out other, usually native, plant life. If you have it in your yard, please replace it with another, preferably native, plant. Encourage your nursery, plant supplier and landscape serviced to discontinue selling and installing it. Help eradicate it in public spaces, such as the Nature Trail.